Below you can view all the homes for sale in the Bentwinds subdivision located in Fuquay Varina North Carolina. 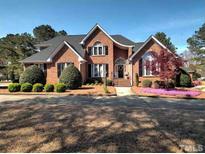 Listings in Bentwinds are updated daily from data we receive from the Raleigh multiple listing service. To learn more about any of these homes or to receive custom notifications when a new property is listed for sale in Bentwinds, give us a call at 919-213-9465. New carpeting, central vac & kick pans, Rinnai h2o heater, high end finishes! MLS#2249130. 3770. Gar Refrigerator. Well maint & loved home! MLS#2249149. 3061. Over a Half acre, this Beautiful setting is the Ultimate Location and Lifestyle you've been waiting for! MLS#2245047. 3313. Master, 2 guests and large bonus up. MLS#2239863. 1710. Square footage taken from builder blue prints MLS#2226046. 1411.